Who doesn't know fitvia? 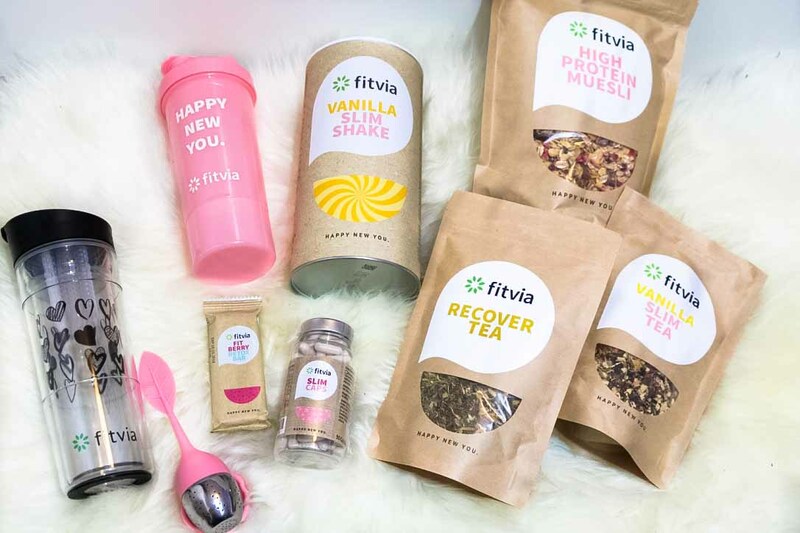 You always see promotions all over instagram and it's been so long now that I've been thinking to order some things from fitvia. I was really skeptical because I'm not a big fan of shakes that replace a meal. But the tee's always intrigueted me to try them. To do a little cure of detox of all the rubbish and unhealthy thinks I always eat and to help me out loosing a bit of weight next to working out and eating healthy. I also always hoped that those tee makes you feel more healthy and lighter and not always bloated. So I finally went for it and processed an order. This is only a little kind of "haul" but once I tested all of them product I will probably right another post. Have you already tried them out? IF yes what do you think about it? Wer kennt schon fitvia nicht? Man sieht ständig Werbung auf Instagram und ich überlege mir schon auch seit längerem die Produkte endlich mal zu testen. Eigentlich war ich auch zugleich recht skeptisch, weil ich kein grosser fan von z.B. Shakes bin die eine Mahlzeit ersetzen sollen. Aber die Tees haben mich immer unglaublich neugierig gemacht. Ich dachte mir immer das eine Tee Kur die entgiftet und den Körper reinigt bestimmt immer gut ist. Dann kann man sich einmal wirklich von all denn ungesunden Nahrungen trennen und wieder sauber starten. Ich hoffte auch immer die Tees würden einen leichter und gesünder fühlen lassen und dass sie einem die Blähungen im Bauch wegnehmen. Also habe ich mich endlich dazu entschieden die Produkte mal zu bestellen um sie zu testen. Hast du bereits schon einmal Produkte von fitvia getestet? Wenn ja wie findest du diese? I've seen this product a lot in IG, but I'm yet to try it. Looks really interesting, and they have quite a cute packaging too. Will definitely try this myself. Thanks for sharing dear!